Kaapaan teaser: The Suriya film is helmed by KV Anand. 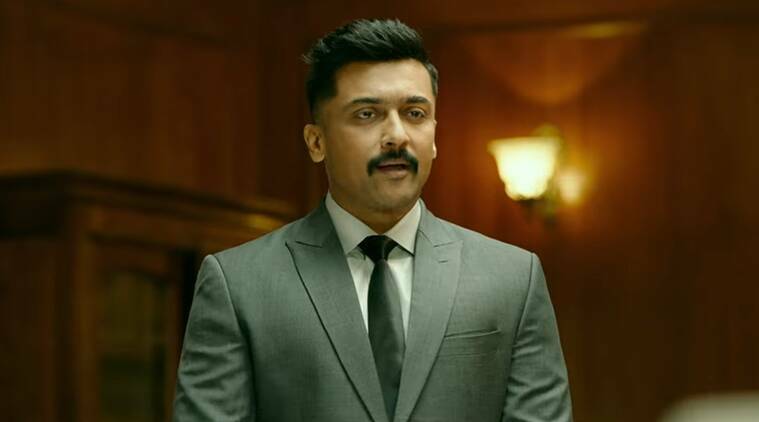 On the occasion of Tamil Puthandu or Tamil New Year, actor Suriya Sivakumar took to Twitter to unveil the teaser of Kaapaan. “Blessed to have worked with @Mohanlal sir,Thanks to @anavenkat and @Lycaproductions What a dream cast and team!! #Kaappaan @arya_offl @sayyeshaa @Jharrisjayara @msprabhuDop Here’s the #KaappaanTeaser for you!! https://youtu.be/AsPX_On5bqc @bomanirani @thondankani @chiragjani”, he tweeted. From the one-and-a-half-minute teaser, it is clear that Kaapaan is going to be an action-packed thriller which will keep us on the edge of our seats. Suriya is seen sporting many disguises including a bomber, a naive villager, a handicapped Muslim man and a government official in a crisp suit. He also clearly knows his way around explosives and is shown planting them at a number of places. It is not clear yet what his role in the film is exactly but Sayyesha seems to be in hot pursuit and even calls him a “terrorist”. Mohanlal, on the other hand, plays a sensitive politician and passionately claims that it is wrong to manipulate people’s feelings for political gains. We also see glimpses of other actors like Arya and Boman Irani. Kaapaan marks the third collaboration of actor Suriya and director KV Anand after Ko and Maatran. The film is bankrolled by Lyca Productions. The crew also includes music director Harris Jayraj, cinematographer Abhinandan Ramanujam and editor Anthony.